It’s incredible what you can fit inside a running GPS watch these days! We’ve entered an age where these products go far beyond reporting distance and provide stats on metrics the average runner has never given thought to. Average ground contact time? Vertical oscillation? Previously you would need access to a sports science lab, technicians and an elite scholarship to even have the privilege to test for these running performance variables. Now it’s possible to measure these on your morning run; all thanks to the Garmin Forerunner 620. As the premium model of the Forerunner range and more beefed up than the FR 220, this review looks specifically at the features on the device which aim to measure running technique and efficiency. This is the length of time your trainer is touching the pavement on each stride. During this phase, your foot pushes force into the ground and then pushes back off the ground to deliver the next stride. By reducing the time of this action, the sooner you can progress forward with the running action and enter the next stride. As elite runners tend to have a shorter ground contact time, improving this metric may present an opportunity to run faster over a race distance. The Forerunner 620 can calculate estimates of ground contact time so you can see how this changes as you become stronger and fitter. Though shaving milliseconds off ground contact time sounds pedantic, the average marathon will require anywhere from 35000 to 45000 strides. If you were to shorten your ground contact time by just 5 milliseconds per stride, you could improve your personal best by up to 3 minutes 45 seconds! Small steps really do add up to a major personal best. Cadence measure, also known as stride rate, records how many steps you run every minute. 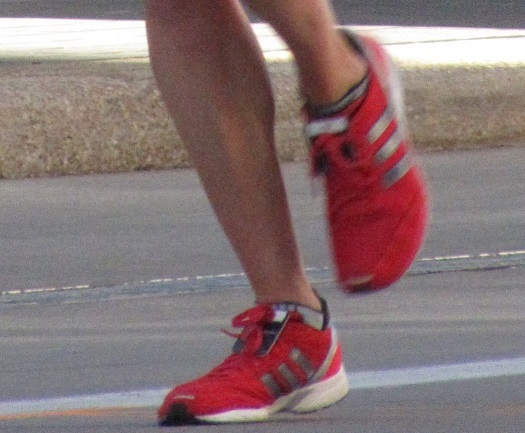 While previous Forerunner GPS models required a foot pod to be worn on the trainers, the FR 620 fits an accelerometer compactly within the watch itself. As you move your arms, the Garmin watch can interpret this as strides. Why measure cadence? It’s believed optimum stride rate for elite athletes is around 180 strides per minute. Though many runners can typically log anywhere between 150-200 steps per minute, recording this data will let you find your perfect balance between long strides and fast turnover. Stride rate can also decrease with fatigue. Through using the Cadence Measure feature on the FR 620, you can review how your stride rate changed during the course of a tempo run. Have you ever thought how much energy you waste during a run? Long, bouncy strides with too much upwards motion aren’t going to move you forwards during that race. Measuring how much you bounce during a stride is known as vertical oscillation. Elite runners generally have less up/down movement, with more energy channelled into moving forwards. Strap the heart rate monitor to your chest, and the Garmin Forerunner 620 will calculate your vertical oscillation during a run. With the chest strap being close to your central mass, it’s a great way to see inefficient movements, where your legs bounce more than they need to. Can the Forerunner 620 improve running technique? As features available on the FR 620, any runner can now geek out with running stats on their vertical oscillation, ground contact time and stride rate. Though measuring these features alone won’t improve technique, I recommend going for runs where you purposely experiment on these variables. Try a mile where you pick your feet off the ground faster. Run a tempo where you focus on maintaining your upper body at a consistent height off the ground. By recording how tired you feel with this activity, cross reference it against any differences you see to your running pace. There’s no overnight solution to improve your running technique and it often takes athletes years to optimise their style. With the Forerunner 620, the watch allows everyone, regardless of ability the opportunity to refine and improve running technique. 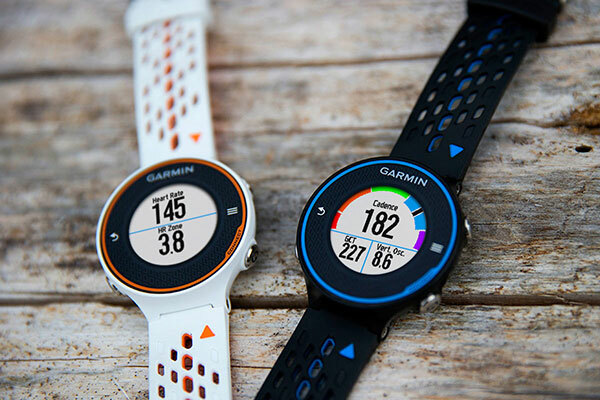 Compare prices on the Garmin Forerunner 620.